For this week's video I prepared something a bit different. 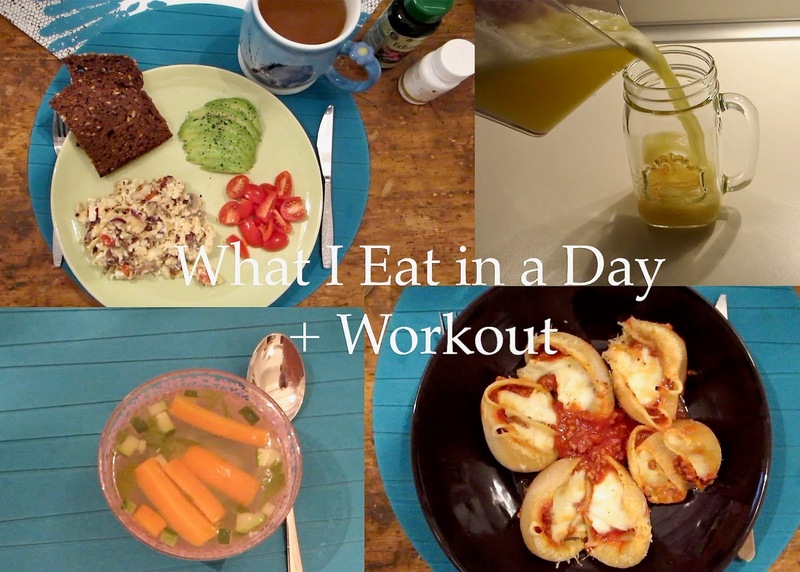 I love food and cooking, so you're going to see a typical day. Well...not that typical, because I'm also doing a workout, which is very rare these days. I would say my meals are quite balanced, they include protein, veggies and carbs. The stuffed pasta shells are a bit naughty, but that's why they're filled with homemade ragu, to make me feel a bit better about devouring that cheesy goodness. To make it enjoyable for the people who don't love food as much as I do, there is also a bit of Milan sightseeing included. Hope you enjoy the video! Please subscribe! Bem legal saber um pouco da sua rotina e alimentação quando treina. Thanks for the video! I see you are very conscious in this context! Yum all of your meals look so delicious!! I love eating avocado for breakfast too! Great post and nice video! Carina, I loved this! You really eat well. I have to get back into juicing and I'm going to start walking again outside. That avocado & toast looks great. Love your workout wear. This video was such an inspiration.